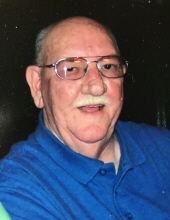 Jerry Ray Goble of Plymouth passed away on Saturday, March 30, 2019 at Saint Joseph Regional Medical Center, Mishawaka, IN. Jerry was born on April 30, 1938 in Oshtemo, MI to Earl and Ruby (Pike) Goble. He has been a resident of Plymouth, IN since 1962. He retired from Zimmer Custom Made Packaging, Plymouth, he worked in printing for the medical and food packaging industry. In his free time, he enjoyed fishing, the yearly fishing trips to Michigan with friends and family, the family get togethers, playing cards with friends, scratching lottery tickets on Sunday with Terry that they called communion and spending time with the grandchildren. Jerry was a proud veteran serving his country in the United States Marine Corps. from July 1, 1958 through March 20, 1962. He was a life time member of the Plymouth VFW. On July 9, 1966 he married the love of his life, Mary Finney. daughter-in-law Amy Goble, his sister, Sue Racette (companion Larry Gonser) of Natawa, MI and his brother-in-law Dan Peck as well as ten beloved grandchildren and three great-grandchildren. Jerry is preceded in passing by his parents, his son Gary (February 16, 2019) sisters: Beverly Vanderhoof, Pat Beechraft, Peggy Peck and brother Vern Goble. Deaton-Clemens Van Gilder Funeral Home 300 W. Madison St., Plymouth, IN 46563, from 11:00 a.m. to 2:00 p.m. The Goble family requests memorial contributions in honor of Jerry be made to Jerry Goble Memorial Fund c/o Deaton-Clemens Van Gilder Funeral Home. To send flowers or a remembrance gift to the family of Jerry R. Goble, please visit our Tribute Store. Jerry Goble Memorial Fund, c/o Deaton-Clemens Van Gilder Funeral Home. "Email Address" would like to share the life celebration of Jerry R. Goble. Click on the "link" to go to share a favorite memory or leave a condolence message for the family.